Our blog team spent Wednesday on the ground and after much discussion and quite a bit of ibuprofen for sore feet, we had to agree that there was just a ton of stuff out there that is worth writing about. It’s turning out to be a great show. Today was very well attended which is a sign of how strong this show has become. We’ll see how Day 3 works out. The image above is from the entry to South Hall, at the spot where Microsoft stood for many years. 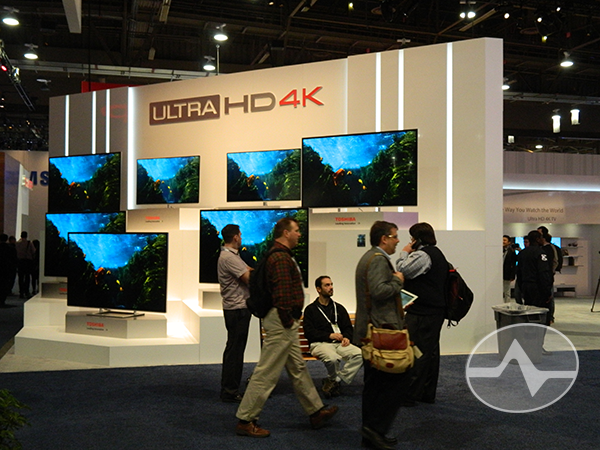 It’s occupied for the second year in a row by Chinese manufacturer Hisense, who had every bit as many 4K/UHD TVs as everyone else, even curved ones, and in very attractive packages. 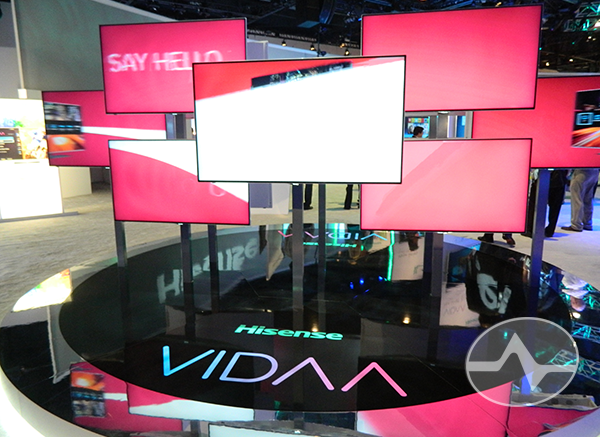 Hisense TVs are poised to break through; they are already available at several US retailers. Remember the name. 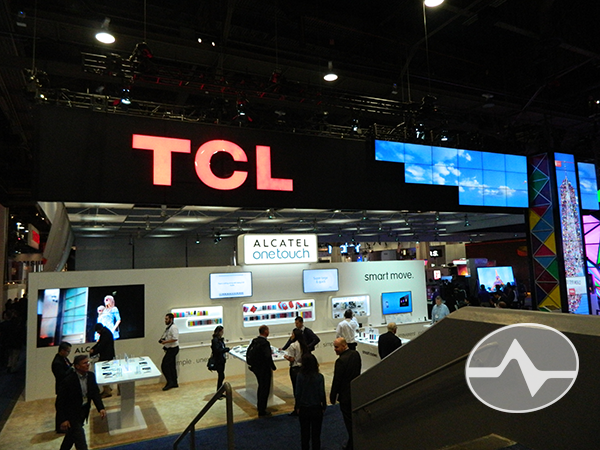 This one’s for blog contributor Bill Van who loves his TCL TV. Not that Hisense was alone. Konka, TCL and others were on site and while not every Chinese maker was putting out product up to US specs, it’s only a matter of time. 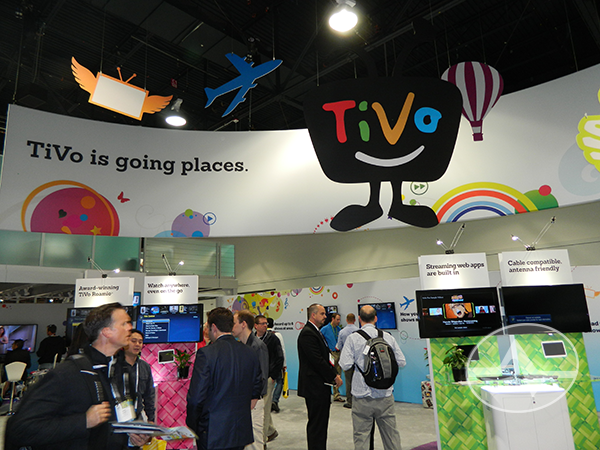 In 2010, TiVo was all but absent at the CES show. They were hidden away in a small adjoining conference room, but unlike most of those rooms no appointment was necessary. It was a sad time to see an almost empty booth where the most interesting thing was TiVo-branded hand sanitizer. Those times are gone, friends, and TiVo is back in the South Hall with a big booth showing their Roamio product line. There wasn’t any specifically new product but there were a number of people who commented that they were excited about Roamio and the other TiVo products and glad to see TiVo exhibiting. 2014 could definitely be their year. 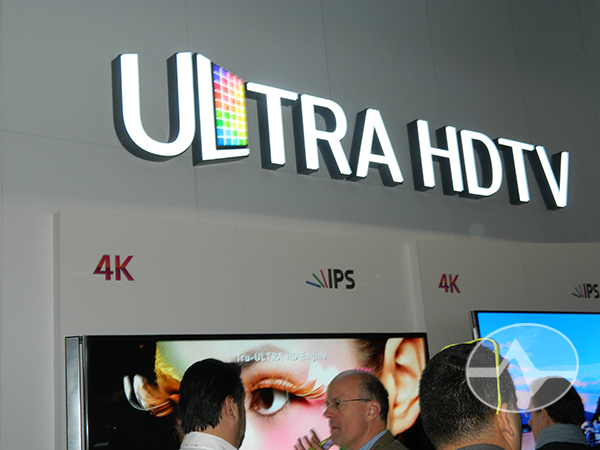 LG was pretty solidly in the “Ultra HD” camp but they did have some of their TVs labeled as 4K so they haven’t completely thrown in the towel on the more sensible name. 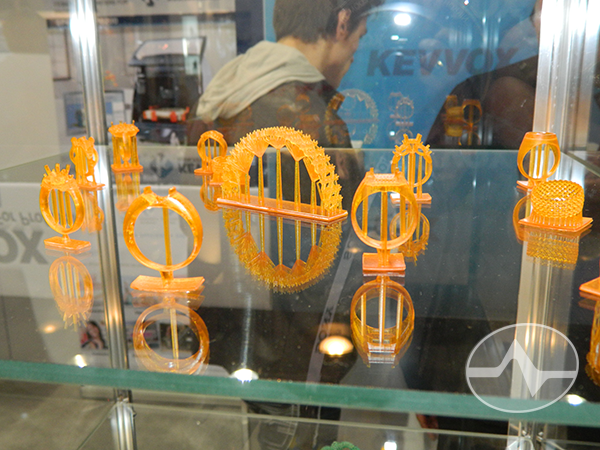 This year there was a whole pavilion dedicated to 3D printing and the technology has grown by leaps and bounds. 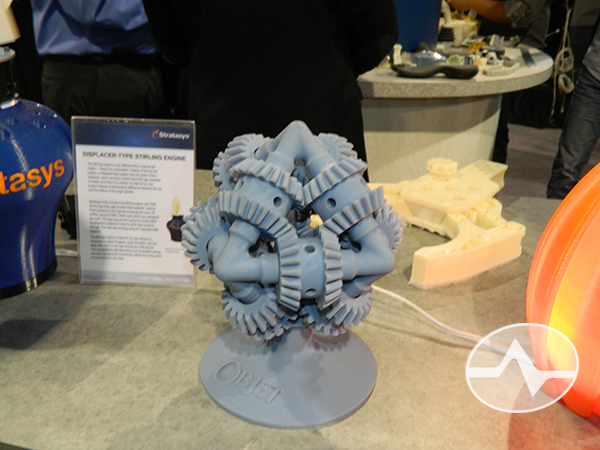 Now it’s possible to do 2-color printing and to print items with moving parts. This gear contraption would have been impossible to make with conventional manufacturing. It’s only a matter of time before someone finds a real use for this technology. The resolution of the printers has also gotten amazing. This is regular size jewelry that was 3D printed and the quality was amazing. 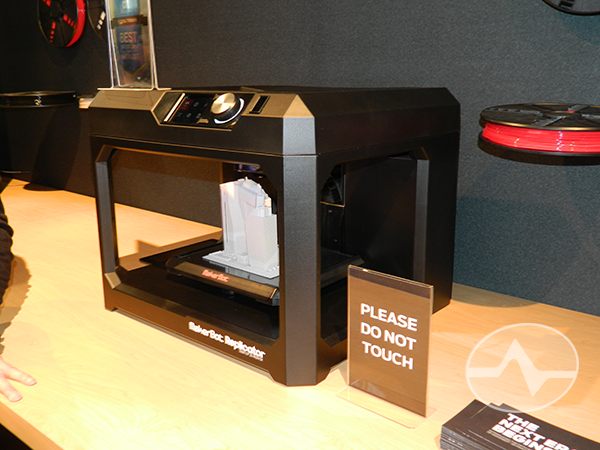 The price has come down, too, with one company offering a 3D printer for $500. 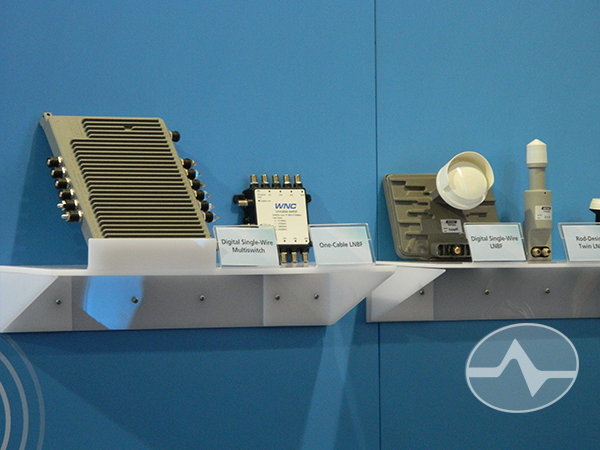 DIRECTV equipment manufacturer WNC was showing a production model DSWM13 and… the item two to the right is a prototype DSWMLNB. WNC personnel told me that at this time there are no plans to product this item but if DIRECTV does decide they want it, they are ready. They really didn’t want the blog team taking a lot of pictures so this one was taken from one booth away with a long lens.